As regular readers will know, we've been using 3D printers with our kids for a few years now. It has been a brilliant experience, our kids think 3D printing is just an everyday thing and come up with ideas of things to 3D print for themselves and as gifts for friends and teachers, they often choose to use 3D printing in school projects and increasingly they come along to events and explain 3D printing to other kids. 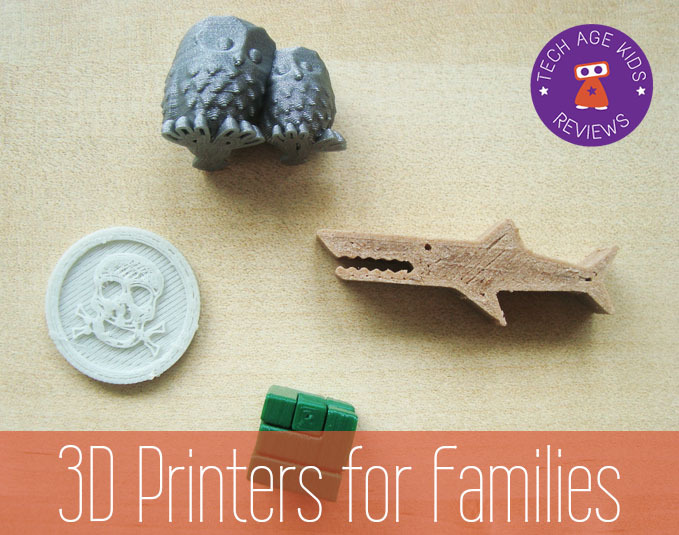 2016 Update: Read our review of the XYZ Mini and MiniMaker 3D Printers which are designed for families. We've been impressed with this option as a simple way for teens and supervised children to get started with 3D printing. When we started our 3D-printing journey there wasn't much choice for 3D printers but now there's loads. 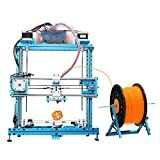 I thought it would be useful to put together a guide to buying a 3D printer for your family and highlight the points you should consider to make sure you get a good experience. For credits for 3D models in the image, please see: Fun Things to 3D print for kids. Warning: 3D printers are a great tool for children and young people, but they are not toys and you should consider safety issues. Children will need close supervision and you'll need to use your parental judgement on teens. 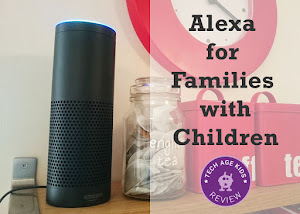 For younger kids, adults can be the one using the 3D printer but kids can still get lots of benefit from watching and working on projects together. Note that PLA filament is recommended for using 3D printing around children as it has non-toxic fumes. If you're looking for a low cost, entry-level 3D printer then the PrintrBot Play is worth considering. 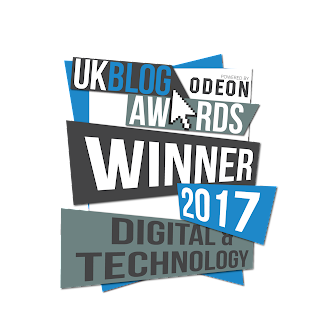 It's very good value for money and able to produce results that are good enough for a families first experience with 3D printing. This is an open 3D printer so you can watch what is going on. Obviously you need to keep kits away from the hot and moving parts but in our experience kids are mesmerised by watching a printer build a model layer by layer and will appreciate being able to see what's going on. The PrintrBot comes assembled, you just need to add the spool rack, so you'll be able to focus getting to the printing. FlashForge have gained a good reputation for creating 3D printers and this model is targeted at kids and parents. The Finder is offered at a much lower price that FlashForge's premium models which makes it accessible to families. It's also more compact than the other models. The FlashForge Finder is designed with safety and ease of use in mind. The hot components are encased and kept out of the way. It's also brightly coloured and looks cool and appealing to kids. Note that the Finder only prints using kid-friendly PLA filament. The PLA filament cartridges are proprietary as is the case with a lot of consumer-focused 3D printers. This means that the printer can offer a more consistent experience but it does means that you have less choice when buying filament. Some families and teenagers will want the experience of actually building their own 3D printer rather than just buying one that works out of the box. 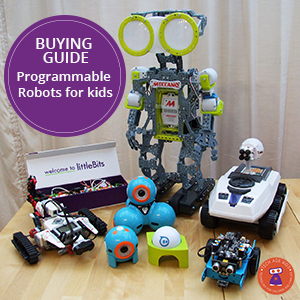 MakeBlock are an innovative technology company that make lots of fab products for maker families including the mBot robot. Their products use high quality powder-coated metal parts plus easy to use modular electronics. The MakeBlock Constructor 3D Printer Kit allows you to build a 3D printer using MakeBlock parts. 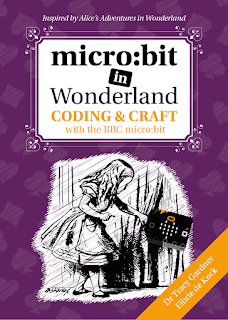 It's a good choice for families that want the experience of building a 3D printer but with the reassurance of a kit where everything is included and designed to work together. The Dremel Idea Builder is a consumer-friendly 3D printer from a well-known brand (it actually uses Flashforge technology inside.) The Idea Builder is enclosed which improves safety and keeps the internals clean. There's a clear door so you can still watch your creation being fabricated. 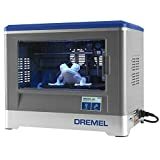 This printer has been designed to be easy to use and reliable and is supported by the Dremel brand. This is definitely a move towards 3D printing becoming mainstream. The colour touchscreen control panel is a nice feature. 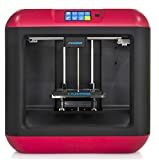 The Idea Builder isn't the cheapest or the most expensive family 3D printer, It's a solid choice from a trusted brand. If you're willing to spend a bit more to get high quality prints, then consider the LulzBot Mini 3D Printer. 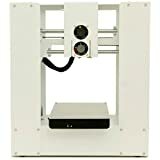 We use these at our Maker Space and they are well-liked by general users who don't feel the need to build their own 3D-printers but want to focus on printing cool stuff. The LulzBot supports a much wider range of materials than many family-oriented 3D printers as it has a heated bed. This introduces a lot more flexibility but also further safety issues with the heated bed itself and the ability to print ABS which needs to be done in a well-ventilated area due to the fumes. LulzBot recommend supervision for users under 18. Our kids are still fairly young so they are always supervised around 3D printers and projects are done jointly. The LulzBot Mini is a good choice as a family 3D printer where the adults want to make stuff and share that experience with their children under close supervision.